What do Patristic studies have to do with Corinth? Quite a lot. One of the interesting bits of research I completed over the last several years was working through the Roman and late antique references to Corinth, Kenchreai, and the Isthmus in the TLG to study the changing patterns of discourse about the city and region. There are well over a thousand late references to Corinthian matters found in late antique and Byzantine commentaries, homilies, theological reflections, and practical spiritual treatises on the Corinthian correspondence. Most, of course, are reflections on St. Paul’s letters to the Corinthians: John Chrysostom’s homilies on both letters survive completely, and a good selection of other late antique sources have been translated in Gerald Bray’s Commentaries on Romans and 1-2 Corinthians, one volume of the Ancient Christian Texts series (IVP Academic). The patristic discourse about the city and region may not provide much detail about Corinth’s social and economic life but the patterns are nonetheless interesting. I have noted in The Isthmus of Corinth that the Christianization of the educated classes of the Mediterranean created a new discourse about Corinth and its sites. Men and women were thinking, talking, hearing, and writing about Corinth as much as (if not more than) they had in earlier periods but in fundamentally different ways. Parry, Ken, ed. 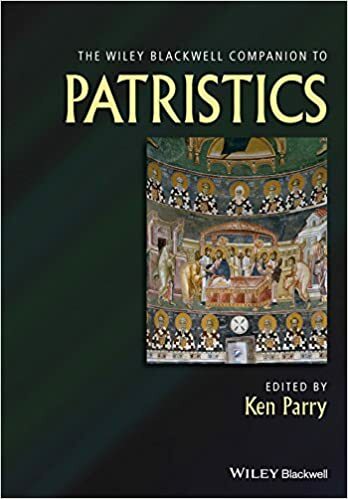 Wiley Blackwell Companion to Patristics. Hoboken: John Wiley & Sons, 2015. “This comprehensive volume brings together a team of distinguished scholars to create a wide-ranging introduction to patristic authors and their contributions to not only theology and spirituality, but to philosophy, ecclesiology, linguistics, hagiography, liturgics, homiletics, iconology, and other fields.